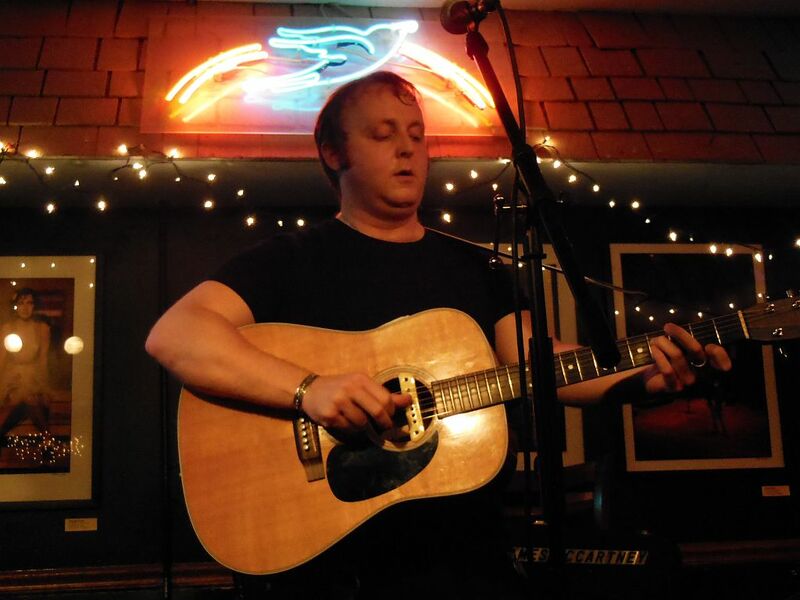 I would have gone to see James McCartney at the Bluebird even if his famous father wasn’t playing Bonnaroo just three nights later. I’ll admit that I hoped Macca might find Nashville’s famed venue to be the perfect place to see his 35-year old, only son perform. He didn’t. Rare for the Bluebird, advance tickets were sold for $15, and a second show was added after this first show quickly sold out. James is the first performer I have ever seen playing a venue as small as the Bluebird but travelling with a tour manager, guitar tech, and a bodyguard. (Maybe it helps when your dad is the world’s wealthiest musician or maybe it’s sad because people value celebrity status so much that they are a danger to children of celebrities?) James made a return visit to the Bluebird the following night. He was a surprise guest at the Basement’s “Communion” series the next night before heading to play Bonnaroo over the weekend. McCartney gave the sold-out crowd an entertaining 60-minute solo performance. His set featured all original material with the exception of his cover of Neil Young’s “Old Man” which also appeared on one of the EPs. 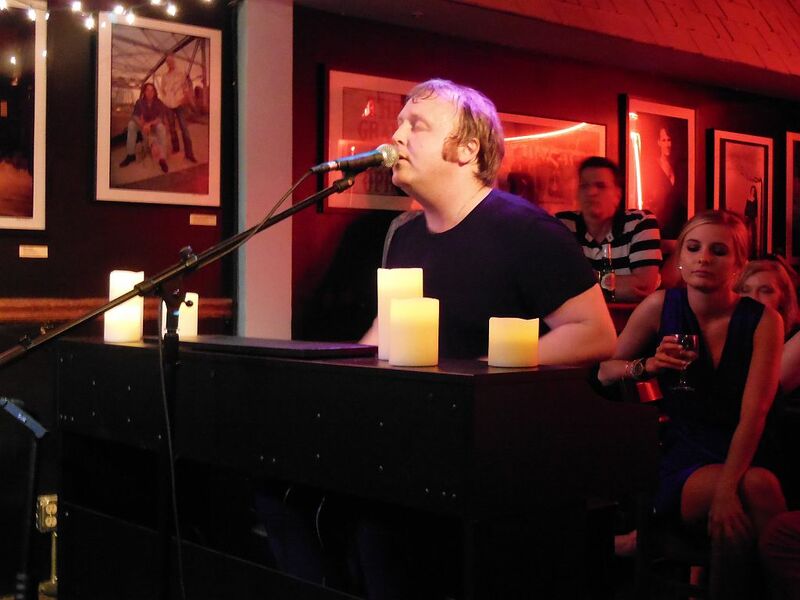 He played acoustic guitar except for two numbers that he performed on a small piano. His guitar-playing skills were quite remarkable with playing that would stand out even in this town full of Nashville Cats. Vocally, he sounds nothing like his dad. He sings in a much higher key and has a knack for ending lines by accentuating his voice into an almost scream-like crescendo. 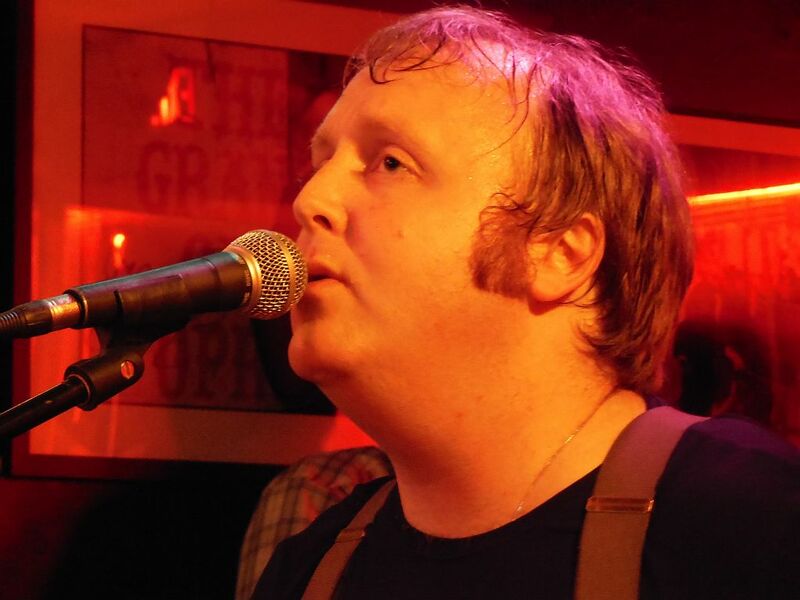 James McCartney started his musical career just three years ago with the release of his first of two EPs and has recently released Me, his first full length. Unlike his dad, he really doesn’t fit the label of a “pop” songwriter–not a lot of hooks and melodies to his tunes. The songs tend to be oblique, introspective, and highly personal. “Wisteria” harks back to some childhood memories while the aptly titled “Wings of a Lightest Weight” is about his father. He is a witty chap although slightly soft-spoken. In addition to notably looking like his dad, he possesses Sir Paul’s casually smug and nonchalant attitude. His dress of short-sleeve shirt and suspenders was a bit different, and the braces eventually gave way before the night’s end. 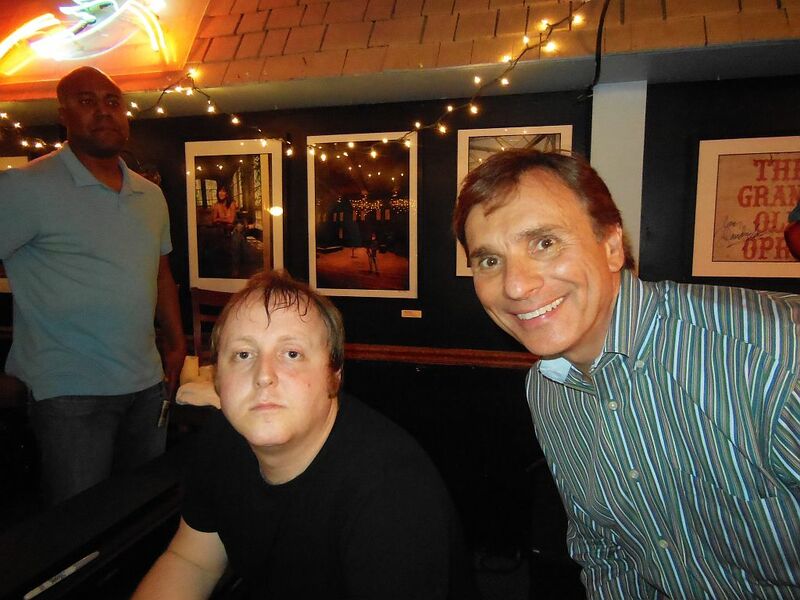 He announced at the end of his set that he would be available to sign his merch and stationed himself at his keyboard. He was quite friendly while remaining perhaps a bit guarded. He told me how this was his first visit to Music City and that he was excited to see some of its landmarks. However, one woman in the queue couldn’t avoid commenting on the elephant in the room. Woman: “Will you be playing Bonnaroo with your dad? I was certainly glad that I went and will most likely go see him again when he returns to the Basement on August 3rd.